These days Cryptocurrency market become more popular. Did you know why ? Because the internet is growing day by day. 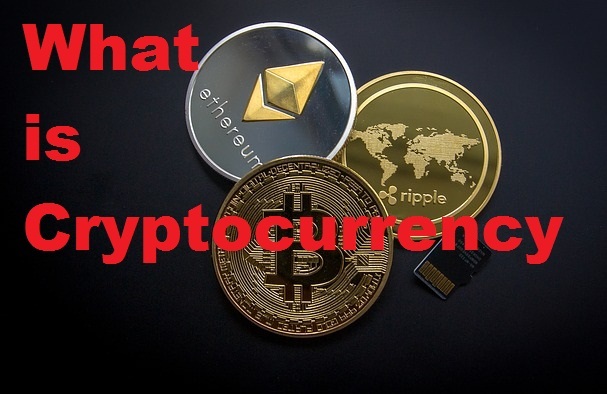 I am sure that you came to this article that means that you are interested in cryptocurrency. Before invest your money in cryptocurrency you should must know that what is cryptocurrency and how it works. In this article i will give you some important information and the advantage and disadvantages of cryptocurrency. Cryptocurrency is the digital currency which transaction is totally depends on the internet. They are powered by blockchain technology. A blockchain provides the validity of cryptocurrency's chain. They are created through computer algorithms. And Each Cryptocurrency made different algorithms. You can buy cryptocurrency anywhere and anytime in the world. But, you can't touch them.its, not like physical money. Buying a Cryptocurrency is too easy.You don't need to be coding skill and heavy computer skill to buy & sell the cryptocurrency. You can store your crypto's on your smartphone or computer. The first cryptocurrency is Bitcoin which was created Satoshi Nakamoto in 2009. That time bitcoin price is $0.01 and it touches $20,000 in 2017. Which was huge. I noticed a big advantage in cryptocurrency market is that their is no middle man or third party Between you and your crypto's. For example you can't buy a share directly from the stock market.You need a broker to buy a share. There is no government and no central bank issue in Cryptocurrency market. Usually, your bank or credit card company take some significant amount of money from you. But The cryptocurrency transaction fees are very lower. Another big advantage of cryptocurrency exchange is that their transaction speed is very fast. Credit cards or other payments may take days, But cryptocurrency takes just a few minutes. Once your transaction is successful, your amount is in your wallet immediately. Investing your money in cryptocurrency does not come without any risk. The big disadvantages of cryptocurrency are mention below. Here are the 2 main reasons that people scared most. You don't know when the cryptocurrency price it goes up and down.Because the cryptocurrency is the highly volatile.That's why people scared to invest money in cryptocurrency. For example - in the year 2017 bitcoin price increases like a skyrocket. But since 2018 bitcoin price decreases day by day. Cryptocurrencies transaction totally depend on internet.And the hackers are always try to attack on the internet world.Well, that is not too easy to steal your crypto's from your wallet. Another big disadvantage is that if you lost your wallet password probably you lost your money. You can make sure that nobody knows anything about you. I hope this important information will help you. If you have any doubt, Give a comment below. If you like it, Share this article on social media. NOTE- THIS INFORMATION IS ONLY FOR EDUCATIONAL PURPOSE.